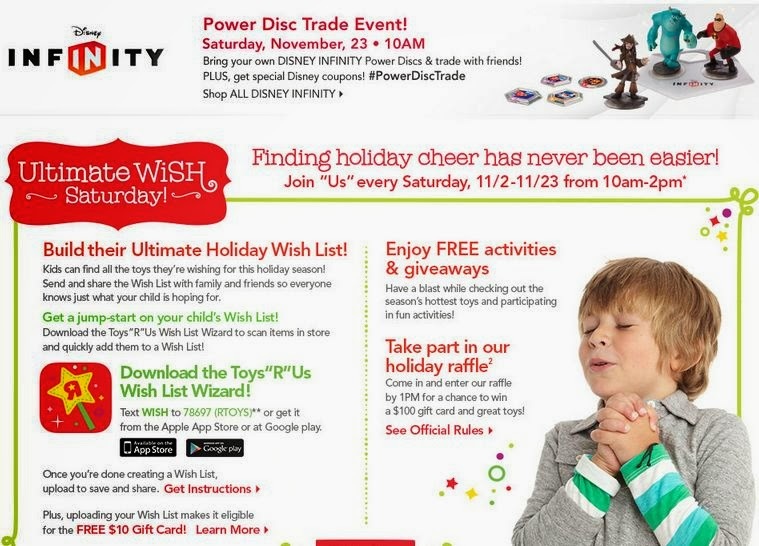 Free Disney Infinity Power Disc Trade Event at Toys R Us @ 10:00 am Saturday 11/23/13. 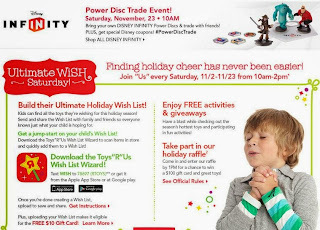 Take your child with their Disney Infinity Power Disc they want to trade at Toys R Us Free Trade Event Saturday. Also sign up for your child's wish list to enter to win a $10.00 gift card. Also take part in their Holiday Raffle by 1pm for a chance to win a $100.00 gift card & great toys! Click the link below to get further details.